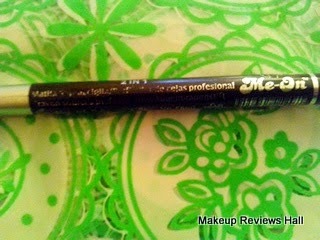 Me On Eye Shadow & Eyeliner comes in thick sturdy retractable pencil form. This is pretty much thick pencil than most of other pencils. The base of the pencil is black, with silver cap which makes it quite good to look at. This pencil is used as an eyeliner and eye shadow, but I even tried using it as a kajal. Read out below to find how good the experience was. 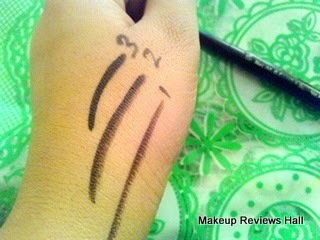 Oriflame Kajal Pencil, and many more but this outbeats all in terms of thickness of the tip. 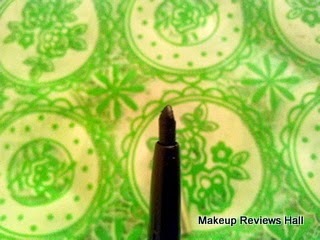 The thick tip, actually creates a thick line no matter how less or precisely you use it. If you want thick eyeliner, this pencil is for you but if you prefer thin eyeliner like me, it’s not for you. Using this as an eye shadow is very easy. I just dab few dots of it on the eyelid and gently spread them all over with the help of fingers and it gives them nice smokey look. Though not a perfect smokey look which requires a lot of time and effort, but quite satisfactory, considering the time it takes this way. See it swatches of it in single, double and triple swipes. Same is the case with the kajal, it also comes out to be thick. But thick eyeliner does not bother me, because I don’t apply eyeliner on daily basis. But I definitely apply kajal daily and I like it to be very light and thin on light basis. So it’s better to use this Pencil in form of eyeliner and eye shadow as the name suggests. However if one wants thicker kajal, you can go for this. 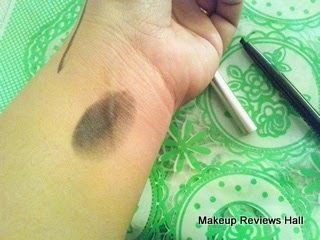 But then again it smudges like hell if used on the waterline. 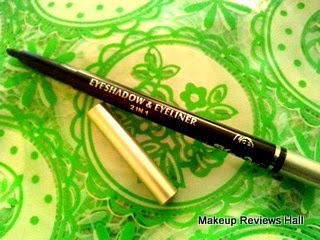 Yes I tried using this a kajal on a my waterline but it disappointed me very much in this. It came out to be thick opposite to what I like, with few gaps in between, because of which I had to retouch and then it smudged so much in the next 2-3 hrs and gave me horrible looking dark eyes. Comes in nice retractable pencil form. Gives a nice eye shadow effect. 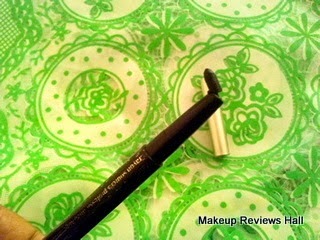 Thick tip, creates thick liner and kajal. I like it; the thickness and no need to sharpen.